JAGUAR XE X760 2.0 Diesel Oil Filter Housing G4D3-6714. JAGUAR XF X250 2.2 OIL COOLER FILTER HOUSING CX23-6L625-AA. JAGUAR XF X250 2.2 OIL COOLER FILTER HOUSING BRACKET CX23-6L625-AA. JAGUAR S-TYPE 2002-2007 2.7D DIESEL OIL COOLER FILTER HOUSING 2W4E-6A642-BB. JAGUAR S-TYPE 2002-2007 2.7TDV6 ENGINE OIL COOLER FEED OIL FILTER HOUSING PLEASE VIEW ALL PHOTOS FOR ITEM CONDITION PLEASE NOTE: THE COMPATIBILITY TABLE IS FOR REFERENCE ONLY AND NOT A GUARANTEE THE PART WILL FIT YOUR VEHICLE. IF YOU'RE IN DOUBT SPEAK WITH YOUR MECHANIC AND COMPARE THE PART NUMBER (WHERE APPLICABLE) OR CONTACT US BEFORE YOU ORDER TO AVOID UNNECESSARY RETURNS IN THE INSTANCE OF A RETURN - PLEASE BE AWARE ALL OUR ITEMS HAVE THIER OWN SIGNATURE MARKINGS - PLEASE ENSURE ONLY THE ORIGINAL PART IS RETURNED AS WE WILL BE ABLE TO IDENTIFY ANY PART THAT IS NOT OURS. 6R83 9N103 AA. Fuel Cooler. V6 Saloon 3.0 Diesel Auto. 3.0 Diesel - In good working order. This part was removed from a Right Hand Drive Vehicle. Compatibility is a guide only. Your item will need to be signed for. JAGUAR XF X250 2.7 Oil Breather Pipe 9X2Q-6A785-CB. JAGUAR XJ X350 ENGINE OIL COOLER FILTER HOUSING MOUNT 3W4E-6884-AC S-TYPE. Jaguar XJ XJ6 serie 1 2 3 Radiador de aceite de la transmisión. transmisión manual. 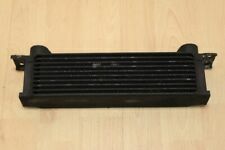 Jaguar XJ6 Series 1/2/3 Transmission Oil Cooler. Manual Transmission Cars Only. Removed from 1976 XJ6 and is a genuine OE part. Needs a good clean. This is for a manual transmission car without a small pipe in the middle of the cooler. JAGUAR - X-TYPE (CF1) - 2.0 D. JAGUAR - X-TYPE (CF1) - 2.2 D. JAGUAR - X-TYPE Estate - 2.0 D. JAGUAR - X-TYPE Estate - 2.2 D. Body Style. Model Year. Scottish Islands -HS1-9, IV40-51, IV55-56, KA27-28, KW15-17, PA20, PA30, PA32-34, PA41-49, PA60-78, PH42-44, ZE1-3. PH31-41, PH49-50. Scottish Highlands -AB30-38, AB44-56, FK17-99, G83, IV1-28, IV30-32, IV33-39, IV52-54, IV63, KW1-14, PA21-33, PA34-40, PH18-26, PH30. JAGUAR PART REFERENCE NUMBER CBC2692. THIS WILL FIT ALL THE FOLLOWING V12 MODELS FROM VIN CHASSIS RANGES 139052-184573. PH31-41, PH49-50. Scottish Highlands -AB30-38, AB44-56, FK17-99, G83, IV1-28, IV30-32, IV33-39, IV52-54, IV63, KW1-14, PA21-33, PA34-40, PH18-26, PH30. OE NUEVO ENFRIADOR DE ACEITE DE LA JUNTA DEL RADIADOR para. JAGUAR X-TYPE 2003-2009 2.0 2.2 Diesel. JAGUAR X-TYPE 2003-2009 2.0 2.2 DIESEL. FORD MONDEO MKIII 2000-2007 2.0 2.2 Diesel. FORD MONDEO MKIII 2000-2007 2.0 2.2 DIESEL. Usted está viendo un PARA ESTRENAR XKR 4.2 MOTOR enfriador de aceite. JAGUAR JAGUAR XKR 4.2. PRECIOS DE ENVÍO PARA LAS TIERRAS ALTAS ESCOCESAS, ISLAS ORCADAS / CANAL, ETC., EN EL SUR. Nos gusta para suministrar piezas de calidad y servicio rápido. Up for sale is a lower transmission oil cooler hose CBC4491. Viel Spass beim. GENUINE MOCAL 16 ROW OIL COOLER WITH 1 1/16" FITTINGS. XJ40 1986 - 1994. OIL COOLER ONLY - NO FITTING KIT. Products only fit models stated (if products fit other models its in our favour to say so!). 1 1/16" pipe fittings (O ring seal). JAGUAR - X-TYPE (CF1) - 2.0 D. JAGUAR - X-TYPE (CF1) - 2.2 D. JAGUAR - X-TYPE Estate - 2.0 D. JAGUAR - X-TYPE Estate - 2.2 D. Body Style. Model Year. Linked Vehicles. Other Part Number: C2S11278. Equivalent to : C2S11278. Thermostat Housing Assembly. Manufacturer Part Number WOC35712. Superseded Part Number ITEM SPECIFICS. Quantity Sold. FORD MONDEO 2.0 2.2 TDCI OIL FILTER HOUSING COOLER 1C1Q6B624AG JAGUAR X-TYPE D. ENGINE 2.2 D / TDCI. REMOVED FROM - JAGUAR X-TYPE. COLOUR - SILVER. IT LISTS RANGES OF VEHICLES A PART MAY FIT, HOWEVER IT DOES NOT TAKE INTO ACCOUNT ENGINE CODES, TRANSMISSION, TRIM/FACELIFT MODELS ETC. JAGUAR X-TYPE 2.0 2.2 D 2003-2009. Manufacturer Part Number C2N 2908. Usted está viendo un A ESTRENAR XK8 XKR 4.2 ACEITE ENFRIADOR. JAGUAR JAGUAR XK8 XKR 4.2. PRECIOS DE ENVÍO PARA LAS TIERRAS ALTAS ESCOCESAS, ISLAS ORCADAS / CANAL, ETC., EN EL SUR. PART NUMBER: DAC6348 X 4. 4 X OIL COOLER MOUNTING BOBBIN. JAGUAR PART NUMBER: MJF7440AA. XK8 4.0 2000-2002 (VIN Range A00001 through to A30644). XK8 4.2 2002-2004 (VIN Range A30645 through to A40264). We are a Jaguar vehicle parts specialist, based in the East Midlands. XK8 XKR 4.2 MODELS FROM THE FOLLOWING VIN CHASSIS RANGE. Scottish Islands -HS1-9, IV40-51, IV55-56, KA27-28, KW15-17, PA20, PA30, PA32-34, PA41-49, PA60-78, PH42-44, ZE1-3. PH31-41, PH49-50. Scottish Highlands -AB30-38, AB44-56, FK17-99, G83, IV1-28, IV30-32, IV33-39, IV52-54, IV63, KW1-14, PA21-33, PA34-40, PH18-26, PH30. FORD MONDEO MK3 2000-2007. JAGUAR X tipo 2.0 2.2 Diesel 2003-2009. JAGUAR X TYPE 2.0 2.2 DIESEL 2003-2009. Jaguar XF automatic gearbox oil cooler. Fits following: XF 3.0D. Failure to do so could result in delayed dispatch . Compatibility is for guide only. Includes: pictures of actual part. Manufacturer Part Number cbc2692. Reference OE/OEM Number cbc2692. USTED ESTÁ VENDIENDO UN ENFRIADOR DE ACEITE DE FLUJO COMPLETO XJS V12 5.3. PRECIOS DE ENVÍO PARA LAS TIERRAS ALTAS ESCOCESAS, ISLAS ORCADAS / CANAL, ETC., EN EL SUR. FORD MONDEO MK3 2000-2007 2.0 2.2 DIESEL. JAGUAR X-TYPE 2003-2009 2.0 2.2 DIESEL. Neu und Einbaufertig. FORD MONDEO, 00-07. 2 Jahre gesetzliche Gewährleistung. AUSGLEICHSBEHÄLTER FÜR NISSAN MICRA II K11 NEU B-WAREEUR 16,99. Ausgleichsbehälter Kühlwasserbehälter für FORD FIESTA FUSION NeuEUR 18,42. Artykuły z łamane lub nie istniejących plomb, etykiet lub pieczęcie jako nieważne w stanie dostawy. mileage in km Denominación del artículo Datos del artículo y del vehículo. Norway Van 15,98EUR. FORD MONDEO, 00-07. JAGUAR X-TYPE, 01-09. JAGUAR X-TYPE NUEVO DE TRÁNSITO ENFRIADOR DE ACEITE PARA FORD MONDEOEUR 59,98. Refrigerador de aceite. Tanque del líquido refrigerador tanque de expansión para FORD FIESTA fusión nuevoEUR 18,42. Part Manufacturer Number OC516XJ40. Manufacturer Part Number OC516XJ40. XJ40 1986-1994. GENUINA MOCAL FILA 16 ENFRIADOR DE ACEITE CON ACCESORIOS DE 1 1/16". Part Manufacturer MOCAL. XJ40 1986 - 1994. GENUINE MOCAL 16 ROW OIL COOLER WITH 1 1/16" FITTINGS. PART NUMBER: MJA7440AB. WE HELP YOU FOR A HASSLE-FREE, SIMPLE AND EFFICIENT WAY TO HANDLE ANY ISSUES. FORD MONDEO MKIII 2000-2007 2.0 2.2 DIESEL. JAGUAR X-TYPE 2003-2009 2.0 2.2 DIESEL. Compatibility: Jaguar X-Type 2001-2010 2.2D. All our used parts are fully inspected tested and cleaned prior to dispatch, and carry a minimum of 3 months warranty. United Kingdom. If goods are faulty we reserve the right to Repair or replace them. JAGUAR XE X760 2.0 DIESEL OIL COOLER RADIATOR PIPE HOSE G4D3-6A642-AA. JAGUAR PART NUMBER: MJA7440AB. XK8 XKR 4.0 1996-2001 (VIN Range 000001 through to 042775, A00001 through to A24195). We are a Jaguar vehicle parts specialist, based in the East Midlands. Lighting Interior / Exterior. XKR 4.2 2002-2004 (VIN Range A30645 through to A40264). We are a Jaguar vehicle parts specialist, based in the East Midlands. JAGUAR PART NUMBER: C2N1169. Engine Cooling System. (to find your VIN number see the last six characters of your VIN / Chassis number. ). 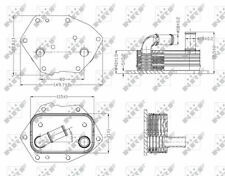 Up for sale is a pair of transmission oil cooler lines EAC7649&EAC7650. Verkauf wegen Umbau auf Schaltgetriebe! 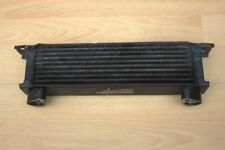 OEM 10-18 de JAGUAR XJ 5.0 L-V8 tubo radiador enfriador C2Z22073. SKU 100:C2Z22073. Manufacturer Part Number C2Z22073. Category 3 Radiator & Components. Genuine OEM Yes. Part Ref# on Diagram ONLY PART REFERENCE #13 ON THE DIAGRAM IS INCLUDED. JAGUAR S-TYPE R 4.2 POWER STEERING OIL COOLER PIPE RADIATOR. 6G91-7A095-AD RADIATORE OLIO CAMBIO AUTOMATICO JAGUAR X-TYPE CF1 2.2 107KW 5P D AUT (2009) RICAMBIO USATO. Consigliamo dunque di consultare chi vi sostituirà il pezzo prima di aggiudicarvelo. - COD contrassegno (Solo in italia - Selezionabile solo da PC). JAGUAR PART NUMBER: C2N2208 / 3W83-6N850-BA. XK8 4.2 2002-2006 (VIN Range A30645 through to A99999). We are a Jaguar vehicle parts specialist, based in the East Midlands. Engine Cooling System. (to find your VIN number see the last six characters of your VIN / Chassis number. ). JAGUAR XF Refrigerador de aceite CC9. Vehículo de donación. Código de motor. Envío de todos los gastos de envío posible, exacta de país, como hasta ahora no especificado, está disponible a petición. especifica, bajo petición.